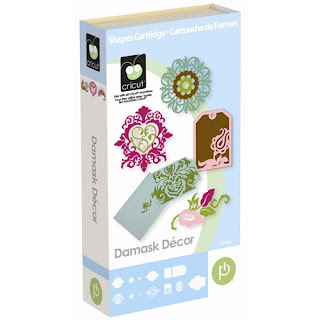 Cricut Machine, cutting mat, etc. 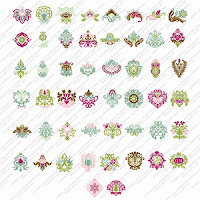 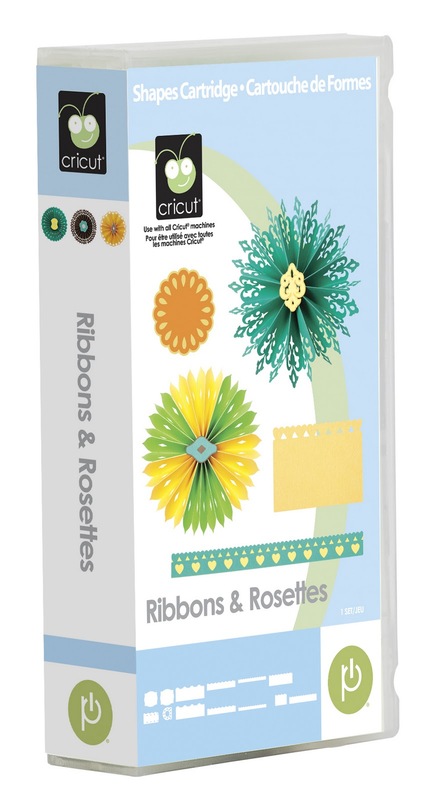 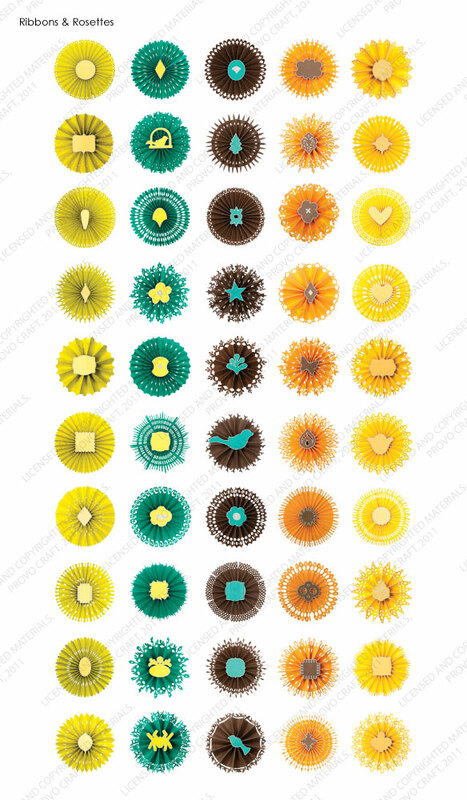 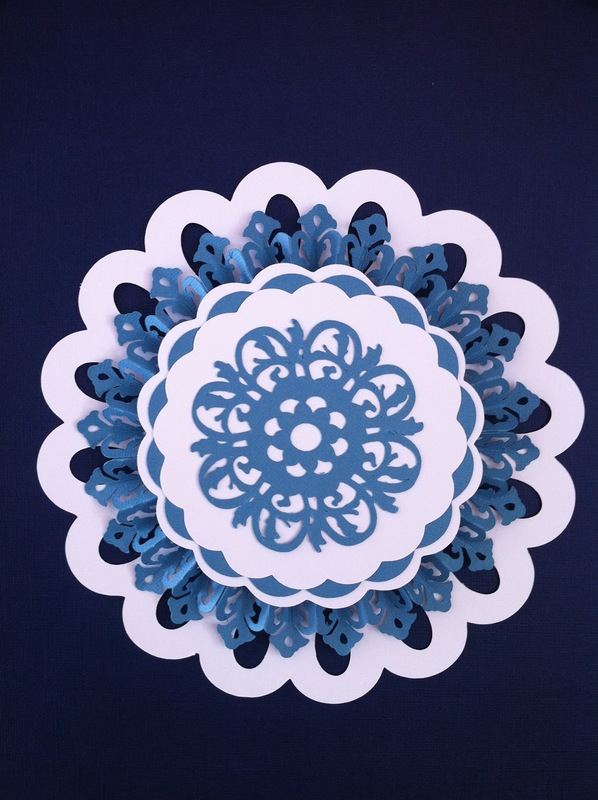 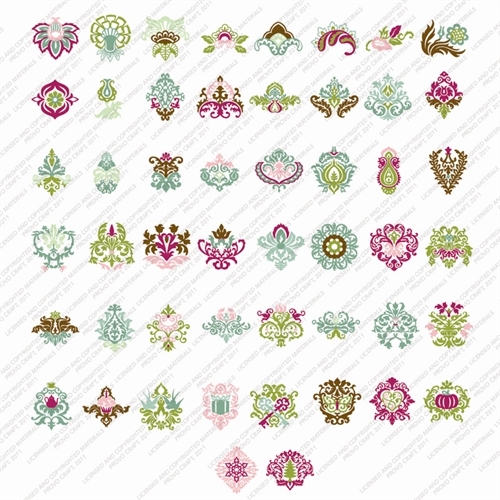 Cricut Cartridges: "Ribbons & Rosettes" and "Damask Decor"
Fold your six pieces along the cutting lines making an accordion "back and forth" fold. 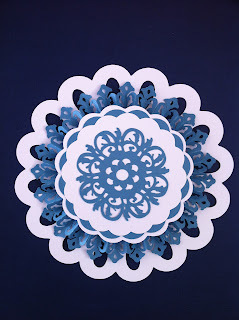 Layer the remaining white and blue circle pieces onto each other according to size. 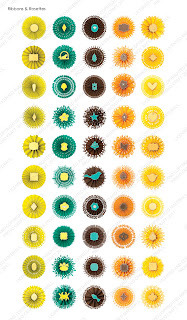 Secure your blue piece to the top and you are finished.